Start the party right! It’s summertime and we’re all about the beach, the pool and the parties. The weather is finally nice enough to be outside and you can execute all those cute ideas you’ve been saving on Pinterest! 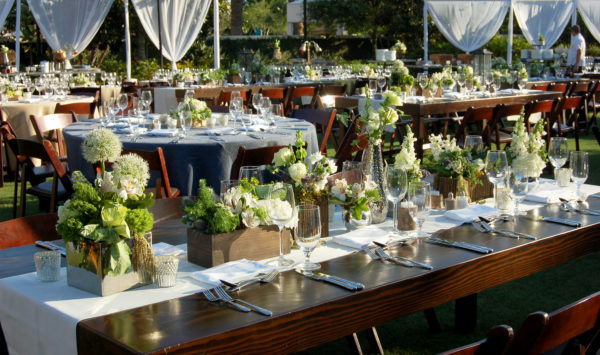 To help, we’ve put together eight outdoor party planning tips to make you look like a pro at your next celebration! Have plenty of water options available. 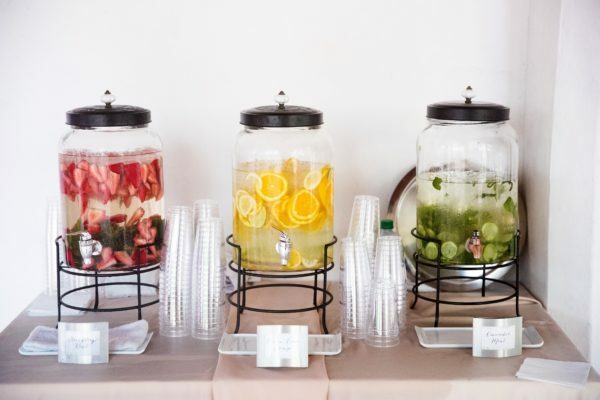 From weddings to casual social gatherings, flavored water stations (personalized water bottles!) on ice for guests to help themselves are always good options to have. Try infusions like Cucumber, Strawberry or Pineapple! The right ice makes a difference in your favorite cocktails. Try oversized square ice cubes which melt more slowly, keeping your drink cool and flavorful. Bonus – flavor the ice cubes with fruit infusions! 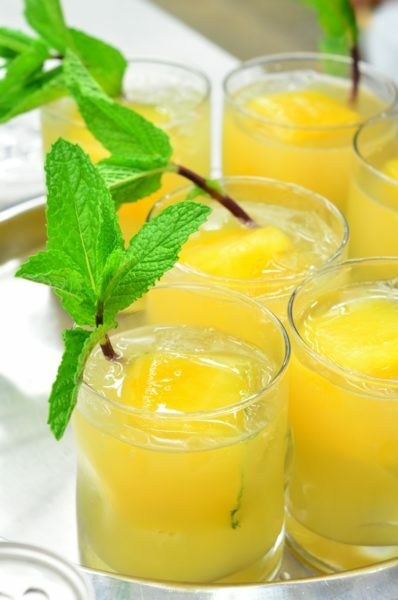 Our catering team is known for our Passionfruit popsicles with mint and basil for our cocktails! Guests would rather not be hot and sweaty while dressing up for a fun party night. Consider hosting your celebration oceanside or poolside and keeping the dress code casual. Take advantage of your location, have your guests come in Hawaiian shirts or Cuban guayaberas. Consider a greeting drink upon arrival for your guests while they are waiting for the ceremony to start. No one wants to sweat AND be without cocktail, am I right? When it comes to seating, a linen-less table makes a beautiful accent to summer parties. But there are options for fabric-lovers too! Spandex linens will help keep tables from looking like they’re about to blow away. As the printed linen trend continues to evolve, there are tons of beautiful spandex options available. Spandex just not your thing? Try a floor length heavy linen, such as burlap and canvas, and stray from polycotton and natural linens which tend to be lighter. With plenty of color options, patterns and finishes, you can dress your party tables stylishly! Nobody likes a party crasher – especially the bug kind. Keep the bugs away without ruining your décor! Use citronella candles or tiki torches to ward off unwanted pests. As event pros – take our advice and order the tent for a daytime party (we love these!). It will make a world of difference when it cools off your event by 10-15 degrees, money well spent for sun protection and happy guests. If one large tent isn’t the right style for your party, consider beautiful patio umbrellas in bright colors with seating! Are you open to a bit of industrial style at your party? Misting fans or port-a-cools around your event will make you and your guests much happier campers! Looking to go to a party instead of hosting your own? Join us for Sangria Summer!